learn about developing creative storytelling techniques, incorporating visual and audio special effects. This is a great class to take with friends. Students can repeat the class; they will make better and different movies. 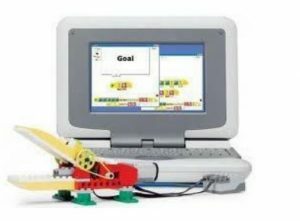 Explore robotics through building models and using a computer to program the models’behavior. Our models include Ferris wheel, race car, merry-go-round, crane, animals and more.Building models will improve spatial cognition and visualization abilities. Programming encourages students to think logically to produce a specific action. Students will also learn about simple engineering concepts such as pulleys, belts, gears and levers, while having a blast. This course may be repeated as students will work on different projects. 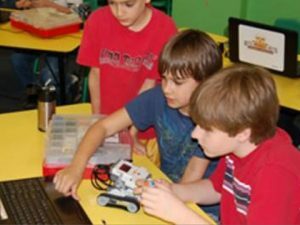 Calling all junior robotic engineers! 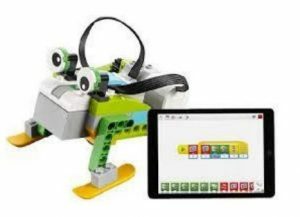 Work with programmable smart hub, motor, sensors and various Lego bricks to build and program models such as helicopter, truck, gorilla, frog, dolphin, caterpillar and more. This course offers hands-on activities that ignites students’ curiosity, while enhancing their skills in science, engineering, technology, and coding. This course may be repeated as students will work on different projects. Learning about robotics engages students’ natural curiosity, and helps them develop skills and confidence. Their codes come to life in ways they can see, hear, touch and even chase across the room. 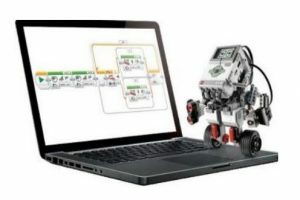 As the students build and program their robots to navigate an obstacle course, emulate a scorpion, or wrestle in a Sumo battle, they are acquiring knowledge about remote control (ie Bluetooth & Infrared), data hubs and wires (ie data transfer), Math concepts (ie Boolean logic, range, random, variables and constants), flow charts and more. This course maybe repeated because different robot sets and software version will be used with different projects. Drones! Drones! Drones! 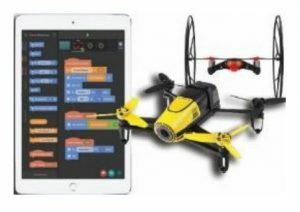 See your code take flight as you control and perform stunts in the air with drones – perform piloting maneuvers like turning and strafing, perform acrobatics, draw shapes and words, take photos, and make a custom controller for the drone. Use the tablet’s accelerometer to steer a drone. Conduct simulation on a drone to do tricks and stunts side-view and up-down view, and then try it on the real thing. The course will also discuss what defines a drone, their everyday uses, and the science of how the mini-drones work. 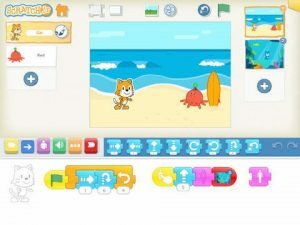 Scratch Jr was designed for younger children as a precursor to other programming languages. 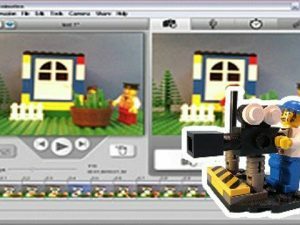 Students control how their characters look and move; add sounds and images; and then use the programming blocks to bring their characters to life. Students create and express themselves with the computer, rather than just interact with software created by others. They also learn to think sequentially, explore cause and effect, and problem-solving skills. 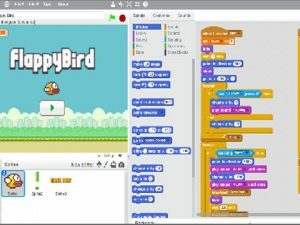 Scratch® is a programming language that was invented by MIT. Through the creation of interactive stories, animations and games, students will develop a foundation of programming concepts (such as variables, loops, conditional statements, event handling and more) that will prepare them for higher level programming language. These courses introduce programming fundamentals to students. These courses are organized into grade-specific curriculum. 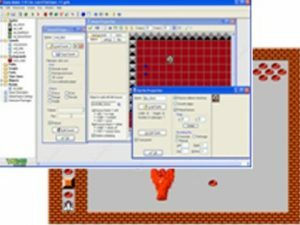 Students learn programming concepts through visual programming in a game-like interface. They will be having some much fun, that they will not realize that they are learning programming. **Internet access needed. Sequencing, repetition, conditional logic, keyboard and mouse events, playing sounds; simple motion, animation. Sequencing, repetition, conditional logic, keyboard and mouse events, playing sounds, simple motion, animation. parallax scrolling, local and global variables, functions, object cloning. Create a customized arcade-style with game elements such as the player, enemies, bonuses, levels, lives. You can be as creative as you want as you decide on the theme, player and enemy characters, design of game levels, health points, number of lives etc. 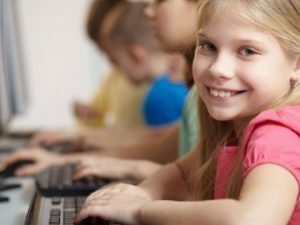 In addition to having fun and gaining a sense of accomplishment, learn about computer programming elements such as input, output, variables, relative values, conditionals etc. 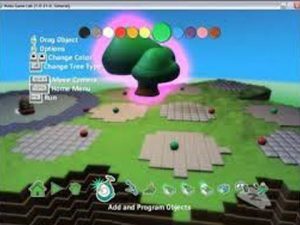 Microsoft’s Kodu gives users control of powerful programming tools using simple graphical commands. Students will create 3-D worlds, add characters, and then make them interact or complete tasks. Students will program scoring, spawning characters, enemy objects, timers, health and various game levels. Based on “when something happens”, “do something” logic, students analyze problems and structure their solutions. Student can repeat this class, as the instructor can work on different games. 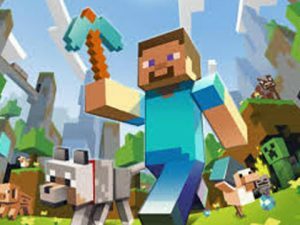 Students will navigate the Minecraft world to explore, complete quests, strategize and build creations in a logical way to survive in the virtual 3D world. They will practice creative thinking,problem solving, teamwork and collaboration with proper online etiquette. To ensure a fun and safe “cyber” environment, every student’s laptop is connected to a local network without access to the internet. Concepts such as network, server, client and applications will also be discussed. Want to build some of those fancy, realistic-looking awesome monuments in Minecraft? 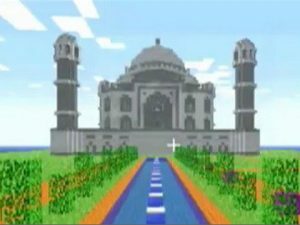 With the 7 Wonders of the World as references, the first challenge is to replicate a famous monument utilizing various blocks, ores, crafted items and tools. Teachers will provide tips and tricks on building better structures in Minecraft. Some of these tips include applying math to scale, and creativity to aesthetic considerations. This class may taken more than once, because different structure types from different geographical location and/or time period will be discussed. 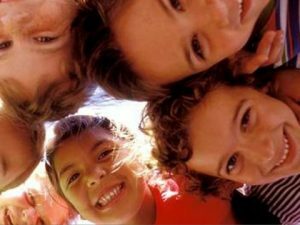 During the summer, we offer summer camps at our location in Mount Kisco, and at other camps in Westchester. If you are interested in offering our program your location, please contact us. We also offer year-round one-time events, which provide a fun and educational time for the kids. The event includes 90 minutes to 2 hours of instruction and play at our location or your location. We will supply all the equipment needed for the activities, such as laptops, Minecraft sever, router, Lego robots, Lego bricks/minifigs, projector , and props – you just provide the kids! We can either come to your location, or you can come to our location in Mount Kisco.